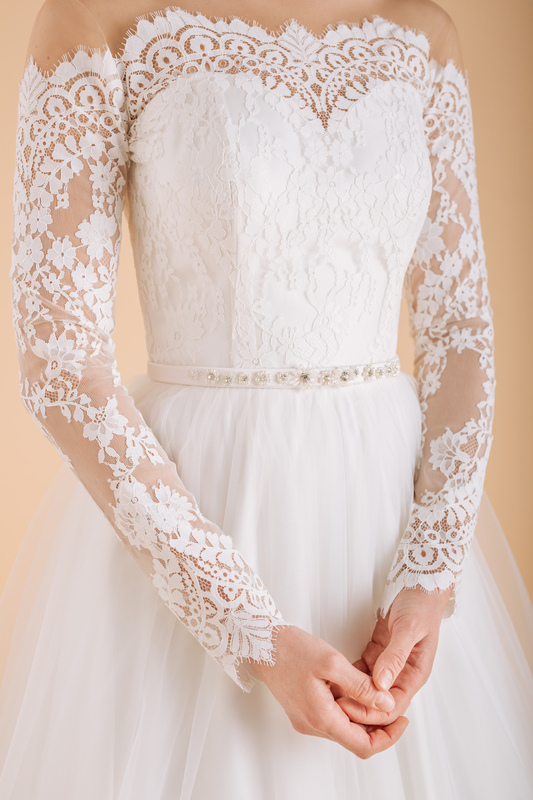 Inspired by historical romanticism, Ramona steals the spotlight with its nonchalant elegance. 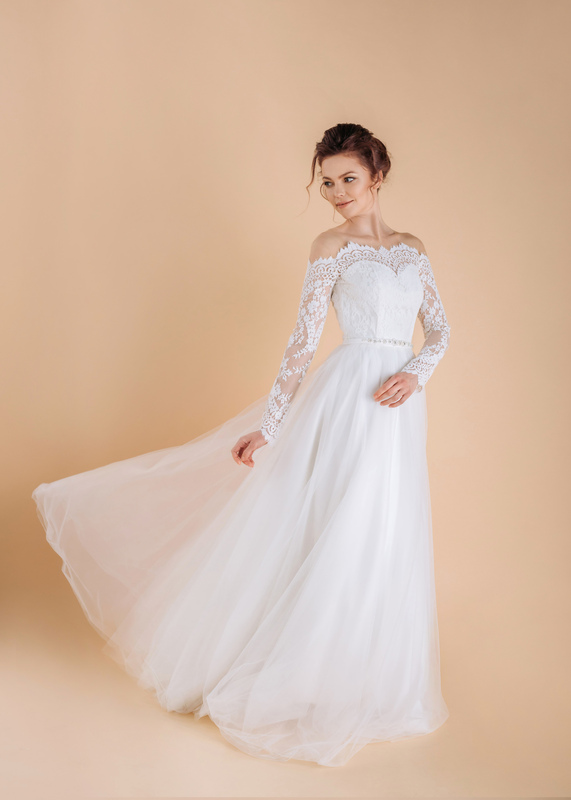 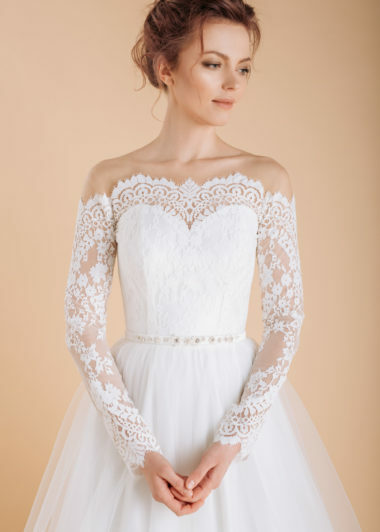 The long sleeves adorned with structural lace that delicately flows along the neckline, drawing the attention to the ever sensual collarbone, couple this with bare shoulders – all together giving you an allure of a flawless gracefulness. 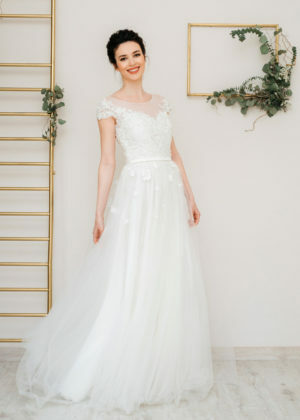 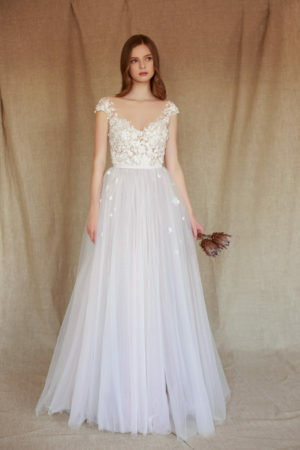 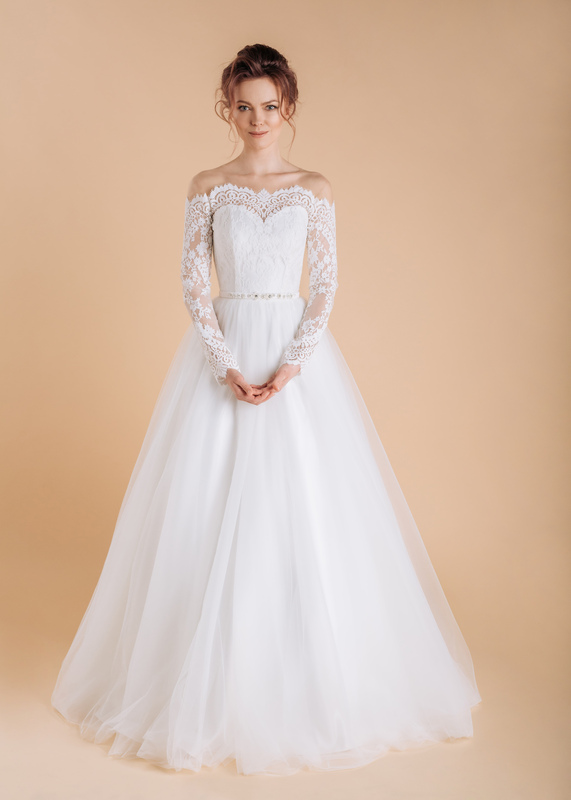 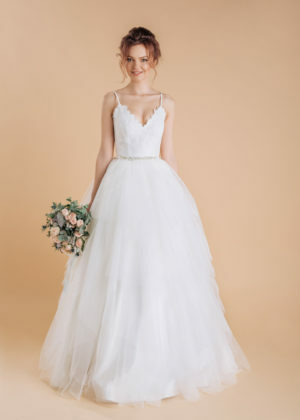 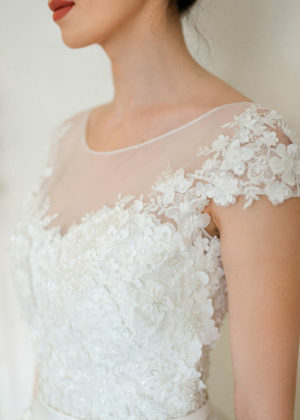 The light tulle skirt adds to the sweetness of it all, while the V-shaped back is emphasized by the off- the -shoulder sleeves. 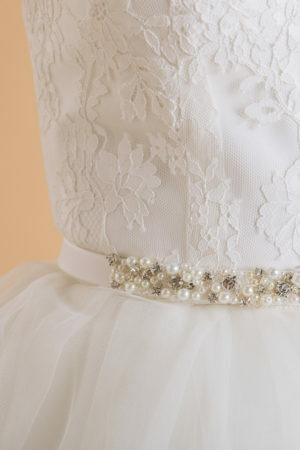 A timeless choice that will make your big day even more memorable and which can easily become a family heirloom to be passed from one generation to another.